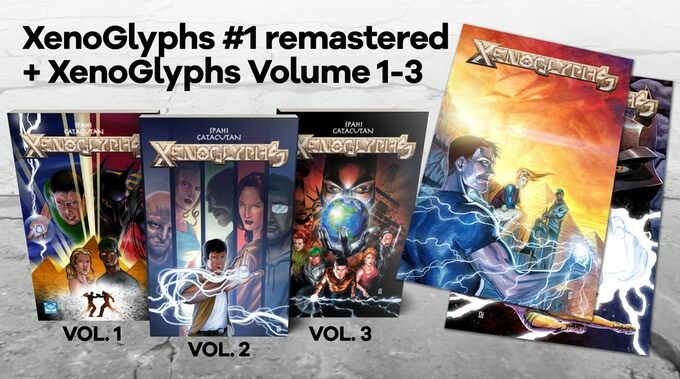 Xenoglyphs and its sequel series Separators come together in this graphic novel collection. A group of heroes commit themselves to keeping the Xenoglyphs, nine stones with elemental powers, separated to avoid a great calamity. I spoke with the creative team to learn more about their experience creating the series and why you should consider backing it. 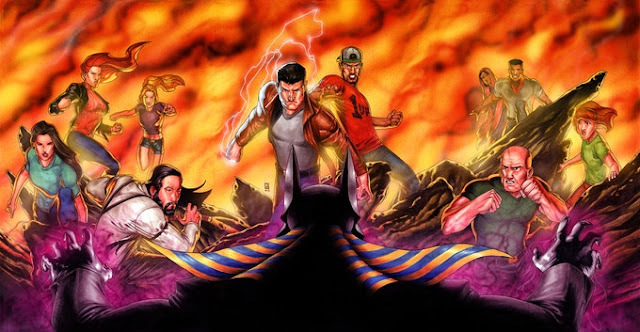 Steven, alongside his best-friend Dom, travel around the world to stop Anubis from taking over the world. They have to keep him from obtaining all of the Xenoglyphs, because when combined, they could allow Anubis to remake the world in his image. 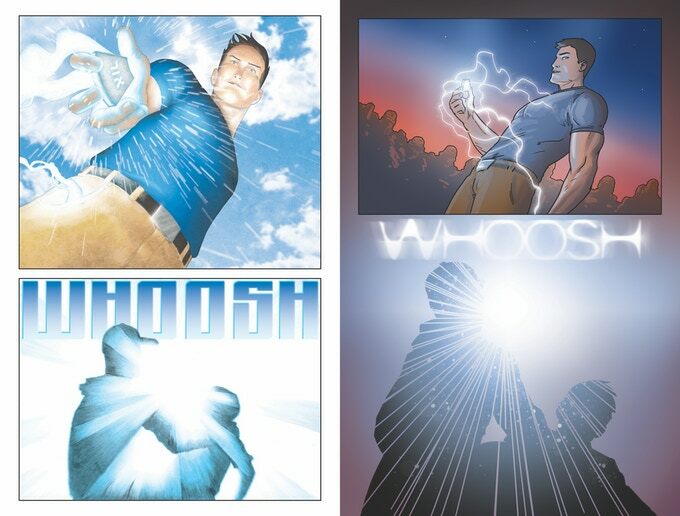 Omar Spahi, the founder and CEO of OSSM Comics, is the creator/writer of Xenoglyphs. He has previously worked on Sons of the Devil, Hadrian's Wall, and Thaniel. 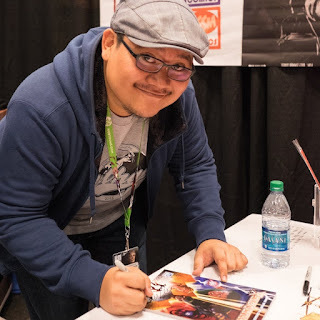 He’s also the executive producer of Code 8 and has written for Entrepreneur, Inman, Bleeding Cool, Clutchpoints, and was featured in The Wall Street Journal. 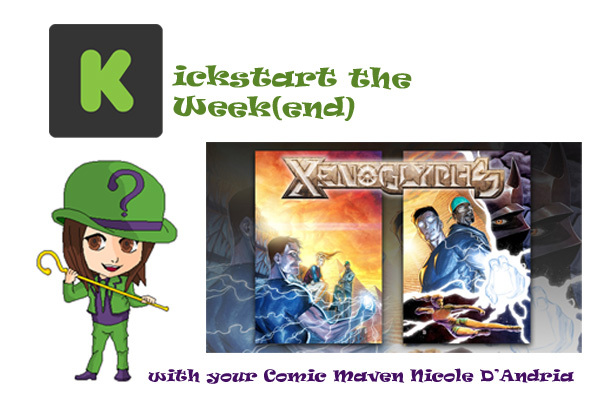 The Xenoglyphs Kickstarter is trying to raise $10,000 by March 1, 2018 at 3:11 AM EST. Rewards include the digital ($5) and physical ($10) remastered first issue, various Twitter shoutouts, an OSSM Comics keychain ($15) as well as the TPB for the first volume ($20). Fans can even get 18 issues of the comic plus the remastered issue 1 with variant covers ($60). There are plenty of other reward options going up to $2,500. You can see the rest of them on their Kickstarter page. Me: What can you tell us about the protagonists, Steven James and Dom Jenkins, as well as the villain, Anubis? Spahi: When it comes to Steven, he's got tunnel vision in the hopes that his parents are still alive. He doesn't talk a lot, but he says enough. Dom is my favorite character, he's silly, goofy, think of Spider-Man's quips and sense of humor at every turn. Anubis believes he can collect all nine stones to remake the world in his image. He wants to feed his ego, because he believes his way is the only way. Me: If you could use only one of the Xenoglyphs in your everyday life, which one would you choose and how would you use it? Spahi: Without a doubt, the Light stone. The Light stone has the ability to heal people; I would go back and save all the people I could save and try to make the world a better place by helping whoever I could. Me: What do you think is the number one reason people should pledge money to your Kickstarter project? Spahi: To support indie comics. 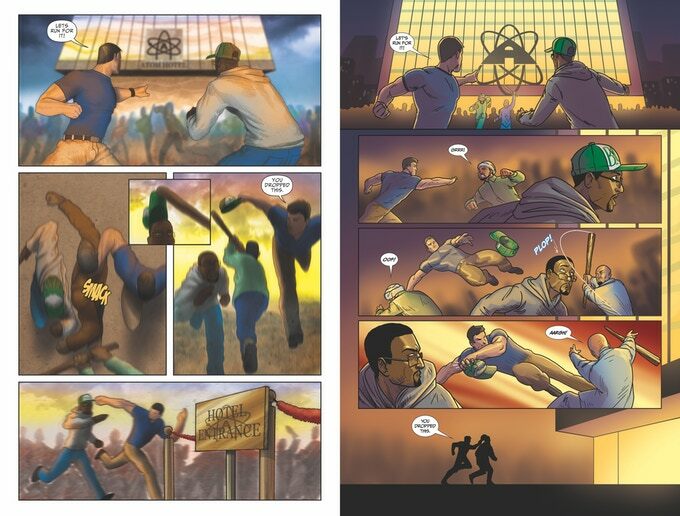 I think that most people have no idea how hard it is to make a comic book come to life from idea, outline, script, layouts, pencils, inks, colors, lettering and edits. Most people only see a final product; they don't understand the time and money it takes to get there. Me: Can you tell us a bit about why you founded OSSM Comics and what your company’s mission statement is? Spahi: The mission statement has evolved for the next phase of the company. It's gone from making quality comics to helping others make quality comics, whenever there's an opportunity to help others’ achieve their goals and dreams. I take great pride in helping others. Me: You mention that you want to write for Marvel or DC Comics someday. If you got the opportunity to write any one title for them, what title would it be and why? Give us an idea what story you would pitch to them! Spahi: I've always gravitated to the Flash, he's what got me into comics. If I'm being honest, I would have him outrun the devils (Neron, Etrigan, Lucifer, Trigon, etc.) on 7 different levels of the hell to save Iris. There is romance and truth in it, in a way we all have to outrun our demons to make our relationships work with the ones we love. Spahi: Make great comic books. Stop talking about it, open up a notepad and start writing and drawing. Make sure you work them and rework them until they're quality and find a way to get them out. Me: What was your favorite page/panel to draw so far in Xenoglyphs and why? PJ Catacutan: I love fight scenes. And the first time I ever drew a semi-fight scene for the first issue (Steven and Dom vs the crowd in Egypt) was a big learning moment for me as a comic illustrator. I did a bunch of things wrong and while we went further into the story and the issues, it’s always been a reference point to see how much I’ve learned since then. I’m so happy I got to remaster the first issue and got the chance to improve that panel and the whole page really. Me: Who is your favorite character to draw in the series and why do they stand out among the others? Catacutan: I like drawing the girls of XenoGlyphs, especially Jennifer and Bailey when they’re together. Their scenes demand a lot of quirky gestures and expressions like when one is annoyed by the other and stuff, and I love how I get to play with that. Drawing Dom is fun too. Catacutan: My altruistic side says the Light Xenoglyph because there’s so much suffering in the world that can be ended with that stone. If I were being selfish, I’d pick the Wind Xenoglyph just so I could fly. Catacutan: The time we’ve spent crafting the Xenoglyphs series (over five years) shows just how much dedication we have in our story. We have grown alongside the series and through the years; we’ve been exposed to a rich and engaging world that we wish to share with everyone. Me: Working as the art director for OSSM Comics, what is a typical work day like for you and what is the highlight of your day? Catacutan: Besides Xenoglyphs, I’ve had my hands on other projects under OSSM and I’ve designed characters, logos and such for other titles. These past few weeks as we’ve been busy finishing the series, I’ve been spending my days in front of my table drawing away. As for the highlight, it’s when I get a panel or an expression or a look right. Comic book artists are expected to know how to draw everything the script throws at them and sometimes it’s a challenge drawing something, like a man staring from within a cave in space surrounded by time machines, a really rad rec room, a bedroom, old-timey memorabilia, and a computer system that is yet to be conceptualized—the highlight comes when I get something like this right. Me: What inspirational words do you have for aspiring comic book artists and colorists? Catacutan: Not really inspirational words but more like an advice: Never stop practicing. And for colorists, learn coloring traditionally first and digital coloring won’t be a problem. Me: Thank you for taking the time to share the world of Xenoglyphs with me! If you’re reading this and interested in checking out the project, see their official Kickstarter here.